Family history is a delicate thing. The stories are fragile. Judy Russell, the Legal Genealogist, pegged family history's lifespan at three short generations, noting that, "Things that were absolutely critical in the lives of our own great grandparents — even our own grandparents — could be utterly unknown to us today." If our stories are not lost forever, they are equally easy prey to manipulation. Retelling a story to new generations subjects it to misinterpretation or colorful restyling [insert your family's Native American princess, Charlemagne, or Adam and Eve pedigree here]. Like a game of telephone, family fact is susceptible to alterations that may deviate from what was true - blurring fact and fiction over the years. Sometimes facts may merge with different stories across generations, creating an altogether new composite of multiple truths that are now a super fiction. As family historians, we're charged with carefully dissecting generational lore and discerning the kernels of truth. It's a serious responsibility and not an easy task. Family lore may begin from truth, but time can obscure what really happened and bury history along with the ancestor who lived it. Like a lost relic, we must excavate the layers of disinformation added over the years to reveal the original story. I'm undertaking this responsibility now after receiving a letter from a distant Kirk cousin who is participating in my Y-DNA Kinship Group dedicated to learning the ancestral origins of my 5th great-grandfather Thomas Kirk. I had asked him what lore existed in his branch of the family. Did they know where the Kirks originated? "I was told the following: The family originated in Ireland. 4 or 5 brothers left in the potato famine for Scotland. They changed their name to Kirk (very common name) and emigrated to America. I have no dates for any of this." Purported Kirk Family Migration Path to America. Thomas Kirk was born in approximately 1778 in, most likely, Virginia. His children corroborated this on later census enumerations when they were asked where their father was born. There was one anomaly. 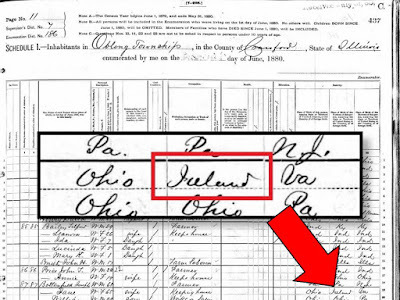 In the 1880 US Federal Census, Thomas' daughter Jane stated her father was born in Ireland (contradicting her US-born response in the 1870 census). Was she referencing Thomas' ancestral origins? 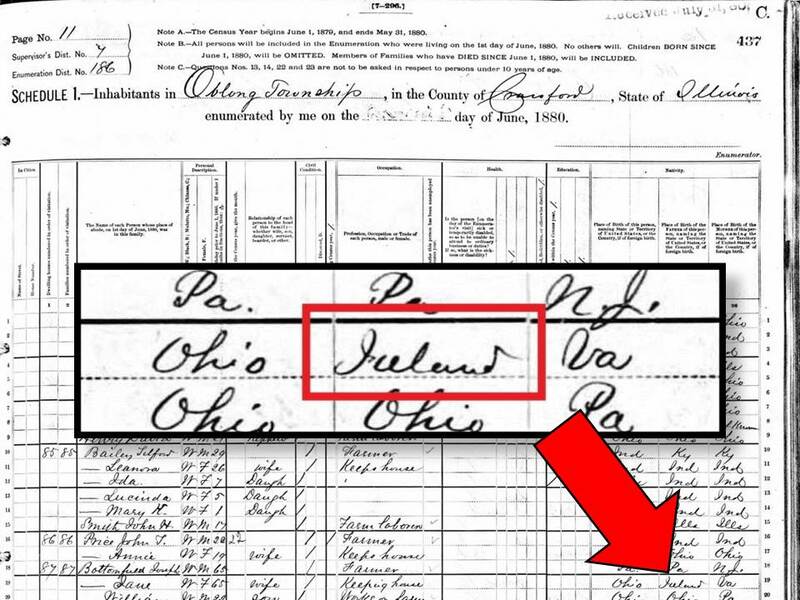 1880 US Federal Census: Jane Lists Thomas Kirk's Birth Country as Ireland. I see a veiled clue in daughter Jane's census response, but I don't disregard the preponderance of responses from Thomas' children indicating their father was born in America. Perhaps the four or five brothers who left Ireland for Scotland and then America were Thomas' father and uncles. The potato famine initially struck me as a mistake. That happened in the mid-1800s, decades after my Thomas Kirk was documented in the United States. Perhaps this fact was just a colorful restyling of the Kirk family's migration? You can't tell an Irish emigration story without throwing in the potato famine for good measure, right? That's what I thought until I read about Bliain an Áir. 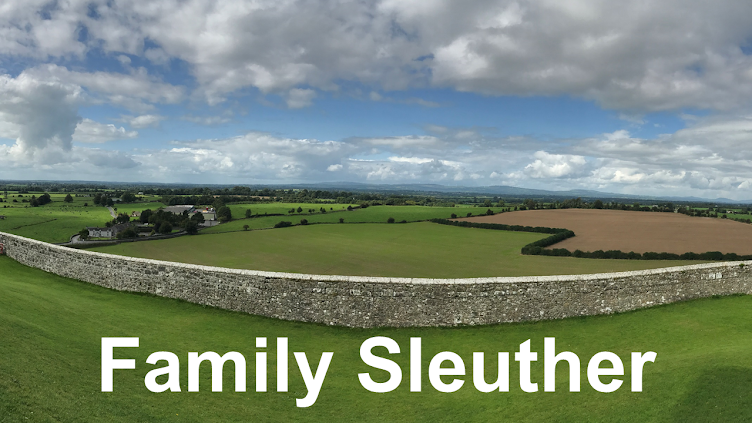 The year of slaughter was the Irish moniker attached to Ireland's 1740-41 famine that killed a larger percentage of the population than the horror that unfolded in the mid-1800s. Nearly 40% of Ireland's population died. 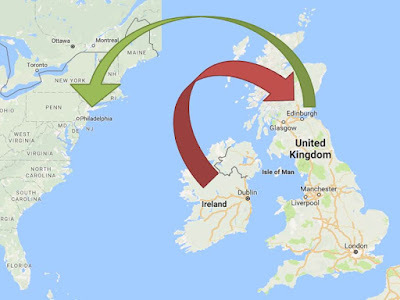 If this famine prompted the Kirk family's departure from Ireland, why did they move to Scotland instead of America? Wasn't that the emerging land of opportunity? In his book, Arctic Ireland: The Extraordinary Story of the Great Frost and Forgotten Famine of 1740–41, author David Dickson noted that the famine didn't result in an uptick in migration to North America likely because "a transoceanic voyage was far beyond the means of most of the population at this time." Perhaps Scotland's proximity made it an affordable alternative. However, there were Irish who did leave for America in the ensuing years. According to Paul Milner's Irish Emigration to North America: Before, During, and After the Famine, those Irish who did travel across the ocean at this time primarily headed through Pennsylvania to the Shenandoah Valley of Virginia. If Thomas Kirk's father followed this path and Thomas was born in Virginia, it would nicely position him where the Kirk family's genealogy picks up. None of this family story is confirmed. It is only speculation informed by history. Maybe this is the best we can hope for after too many generations have passed and with little paper trail to surface any remnants of truth. I'm glad for this story, though, even if I can't prove it yet. It's given me a starting point. After all, you can't excavate what you don't know is buried. Very interesting! It is so interesting that my Givens ancestors were described by part of the family as Irish (as the immigrant himself said he was from Antrim, Ireland and by others as French Huguenots who came through Scotland.) In any case my Y-DNA says I am from deep Irish stock. So my Givens came to America in early 1739 and settled in the Shenandoah Valley of Virginia and thus missed by months the great Irish famine of 1739-1740 that killed 38% of the Irish population. I probably wouldn't be here if they had waited one year to come. Indeed your ancestors were fortunate to escape the horror of the famine. What a prize to have your 18th century immigrant ancestor pinpointing his own homeland. That has to be mighty helpful for your research (at least something to direct future genealogy). Have you identified patrilineal Givens cousins in Antrim or Scotland? It would be interesting to see what part of the story DNA tells. Y-DNA is playing a big role in my own Kirk line research and even helping to confirm, like you, deep Irish heritage (but that's for another blog post!). Because of a very common Surname and no ancestors to bring my husband's origins, after 40 years we discovered that my husbands ancestry lies all the way back to the colonies in the 1600s. During the Revolutionary war, a lot of records were lost or misplaced, So our quest is to find the actual people who were his ancestors not recorded during that missing period of time.They might not have been as famous as the mistaken ones that are usually listed, in family trees of these surnames, but they have a right to be honored as true the ancestors in the family tree. We're like-minded genealogists. I agree 100% that there's great responsibility in uncovering the "real" people who make up our ancestry, and honoring them by restoring them to their rightful place in our family trees. Good luck with your continued research.